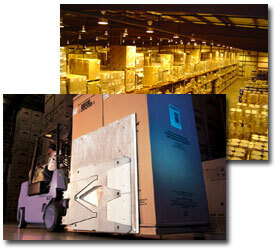 Distribution, Inc. is a commercial warehouse located in Lincoln, Nebraska. The Midwest leader in providing comprehensive logistical warehouse storage solutions including trucking/transportation in a 500-mile radius to its customers. A caring staff of trained, highly qualified personnel are available to service your needs. We pride ourselves in working when our customers need us, and making sure all customer compliance requirements are met. Clients realize the tremendous savings of only paying for the actual storage space and manpower they need and not for space and people they don’t need. It is like having a part-time employee that supplies their own truck, forklift and space.